Air Milford operates a range of Cessna aircraft for all Doubtful Sound flights, Milford flightseeing trips and more. 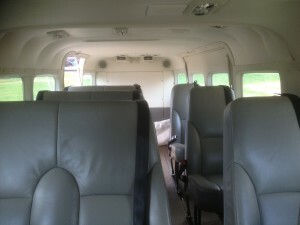 Air Milford operates the first brand new Cessna Caravan to be brought to New Zealand’s shores. ZK – SKM & ZK – SKY, were purchased and flown from the factory in Wichita, Kansas in February 2016 (ZK – SKM) and November 2017 (ZK – SKY). These planes are the pride of the fleet and sets Air Milford apart, as having the most modern aircraft on the airfield. ZK – SKA was purchased at the end of 2013 from Athens, Greece. After a 66 hour journey to its new home, Air Milford began operation with the plane in late January 2014. 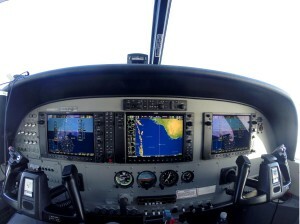 With only 400hrs total time, it also sports the same Garmin1000 computer avionics suite as SKM. 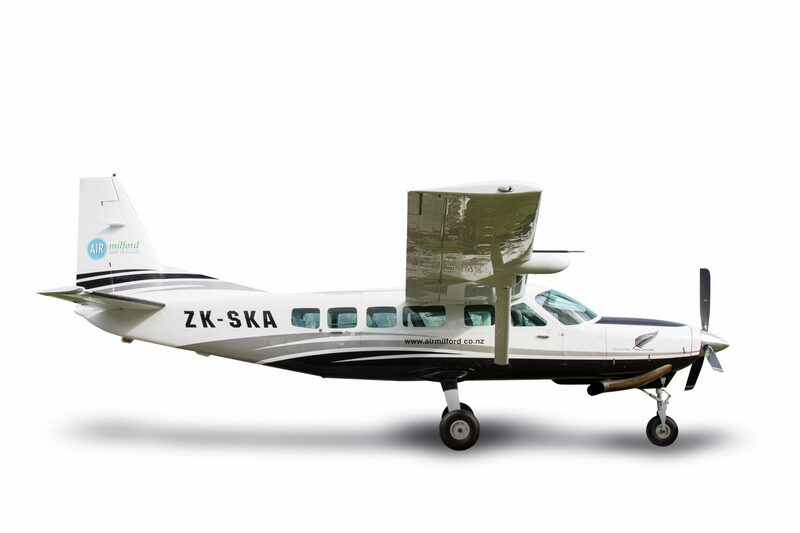 These state-of-the-art aircraft offer our passengers excellent views whilst enjoying quiet air-conditioned comfort and luxurious leather seats. *please note that some of our aircraft have aisle seats. Should a window seat be preferred, then this must be requested on the booking form. Although not guaranteed, every endeavor will be made to meet this request. The five seater Cessna 185 is a high performance 4 x 4 of the skies! The 185 has the ability to land in hard to reach places making it ideal for those wanting to discover the hidden secrets of New Zealand.